Posted March 8, 2019 by rclc & posted in Uncategorized. 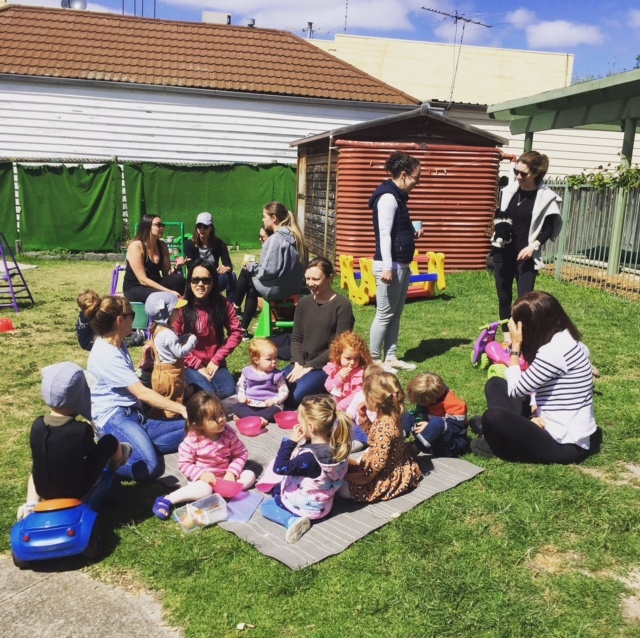 Our March ‘Taste of RCLC’ focus is on Community Art and Crafts which meets every Friday at the Burnley Backyard between 10 a.m. and 12 p.m. 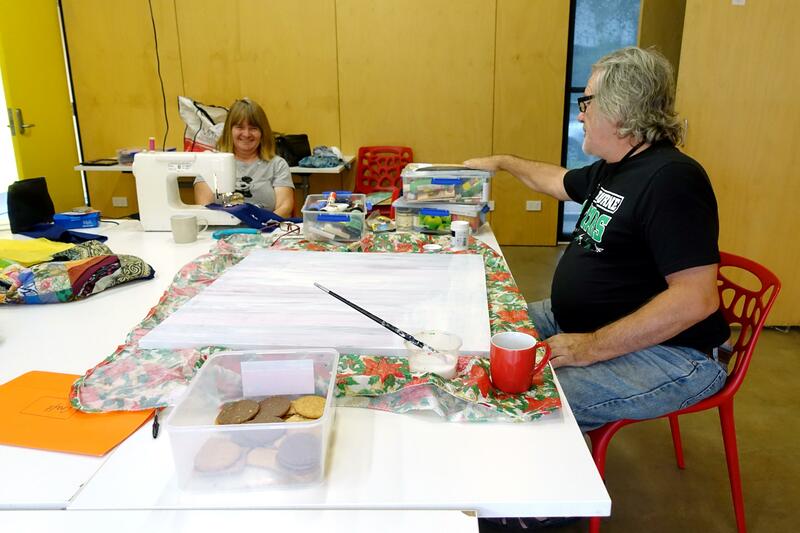 This is a friendly and relaxed group where participants enjoy a morning cuppa, swap ideas and stories, work on current projects and help one another. You can BYO craft project, or start a new one there. 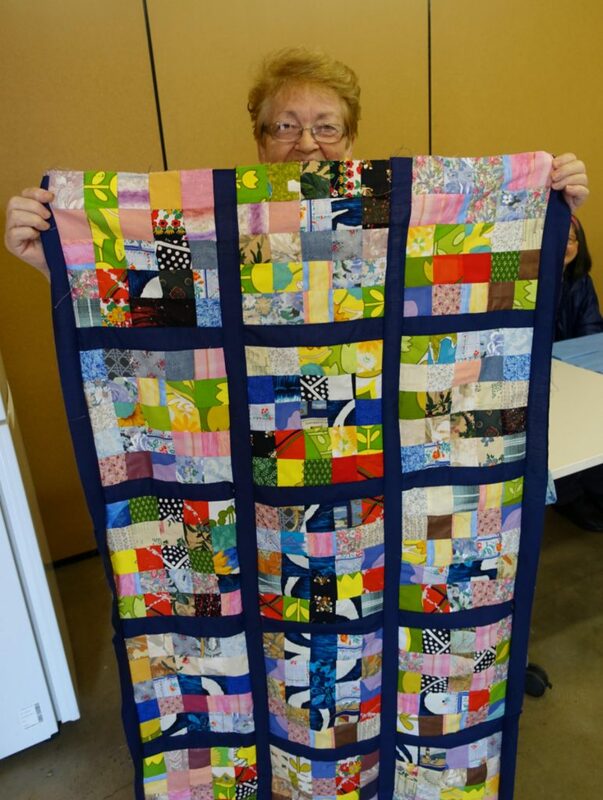 Our volunteer facilitator, Merril Pierrot, loves to show people how to incorporate materials which might otherwise go to waste, into such items as cushion covers, wall hangings or quilts, to name but a few. Merril has lived in Richmond for around forty years and describes herself as a textile artist who is mostly self-taught but has also benefitted from attending short-courses and workshops. She has been involved in a local, community craft group for over fifteen years in various formats and sees her role as an encourager to participants. One of the most valuable aspects of the group according to Merril is that, ‘people can work at their own pace, according to their abilities and preferences’, but she is always happy to step in if they need assistance. Merril will sometimes start someone off with an idea for a project and suggest the type of materials they might like to use and then they can take it from there. She particularly likes recycling such objects as stickers, shells and fabric scraps that are often donated to the group. Merril derives a great deal of satisfaction from watching people develop their skills and confidence as they work on their chosen projects. As well as working with textiles, Merril also enjoys quilting, and both watercolour and mixed-medium painting. Another regular is Jemima, who began attending this group last year. She has lived in Richmond for over fifty years and was encouraged to join by a neighbour. She describes her attendance as having had a ‘huge positive impact on her life as everyone has been so welcoming and friendly’. She loves coming and having a chat and a laugh and says she can’t thank Merril enough for her support and encouragement. Jemima loves to crochet and has made blankets for the Children’s Hospital, St Vincent’s Hospital and other charitable organisations. Also a self-described bingo fanatic, when not busy at Community Arts and Crafts, Jemima attends bingo venues around Melbourne. 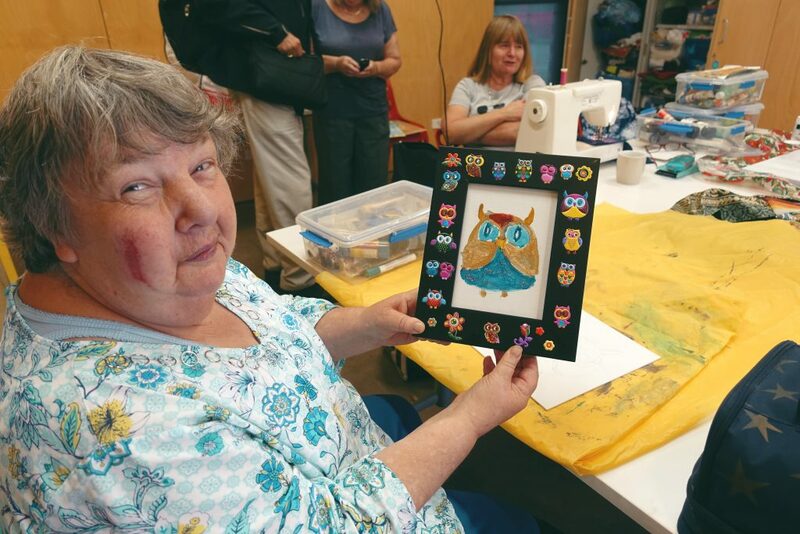 If you, or someone you know, are interested in joining Merril and friends at RCLC’s Community Art and Crafts group, you can do so at any time. It is open to all, including beginners and is very affordable, starting at just $3. For more information call 9428 9901. Posted February 13, 2019 by rclc & posted in Uncategorized. Welcome to a New Year at A Taste of RCLC! In 2019, we will continue to introduce a range of programs, activities and people that help to make the Centre the diverse and busy place that it is. 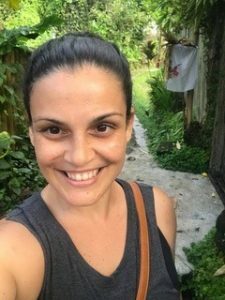 Our February focus is on Beginner’s Yoga, a class which runs by our very dedicated volunteer Mia Ferreira. Mia has been a passionate and committed yoga practitioner for ten years, an instructor for five years and has been running this particular community yoga class, as a volunteer, for two years. She hails originally from Madeira, Portugal, migrated as a child to Sydney, and has been a Richmond local for four years. Mia works in marketing and also studies professional writing. She continues to train in Iyengar Yoga which is the style of yoga taught in the group (see the link below for more information about Iyengar Yoga)*. Volunteering is a valued aspect of Mia’s life, as in her eyes, ‘it’s important to balance working for money and working for love’. Mia also appreciates the benefits that teaching this class provides her with – meeting new people, learning new skills and ‘putting a little love back into the world’. Iyengar Yoga is recommended by Mia as a gentle alternative to keeping fit and combatting stress and anxiety. The classes are very affordable ($5!) and small, which means there is plenty of personalised attention. People of all ages, shapes, sizes and abilities are welcome. The classes run on a repeated four week program, focusing on different skills and movements each week to ensure a balanced practice, which works on the entire body and mind. 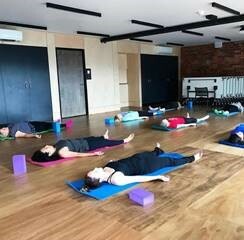 Mia outlines some of the benefits of attending the class as being: giving yourself ‘time out’ from daily responsibilities, improving strength, balance, sleep patterns and mindfulness, and meeting like-minded people who are also interested in health and well-being. Tricia is a regular attendee of Mia’s classes. Starting as an absolute beginner, she describes this Iyengar Yoga course as challenging but fun. One of the key reasons Tricia finds the classes to be so enjoyable is that, ‘Mia talks you through the poses step by step, in absolute detail so you can’t go wrong.’ She values the personal instruction she receives and the way particular poses are adapted to the participant’s ability. 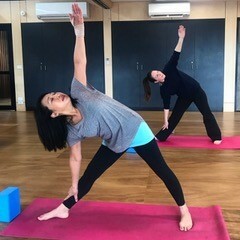 More specifically, Tricia has found the stretching in yoga alleviates back pain and feels her body is more in alignment. She leaves the classes feeling relaxed but having done a full workout. To find out more about Beginner’s Yoga see here or call our office on 9428 9901. Posted December 11, 2018 by rclc & posted in Uncategorized. Welcome to our final ‘A Taste of RCLC’ for 2019. Cate has been involved with the program for approximately a year, and really looks forward to visiting every week as an opportunity to be a part of and give back to, her local community. She also enjoys being able to experience nature while living in an urban environment. 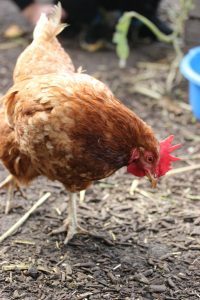 One of her activities during a session with the chooks is to clean the enclosure of food scraps to keep any unwanted night-time pests away. 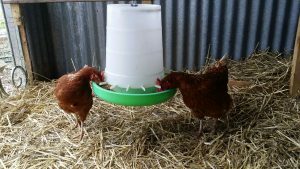 Being with the chooks also provides Cate with fond memories of her childhood when urban backyard chooks were popular and were kept by a few of her neighbours in Kew. 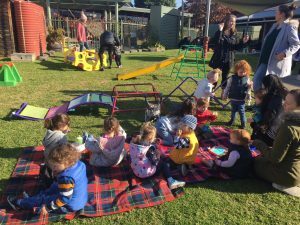 One of the community groups involved with the Cheeky Chook Crew is Bridge Road Early Learning Centre, a long day-care service that also runs a government-funded kindergarten program. They have been a part of the crew for a couple of months, and began this partnership in order to provide the children with an opportunity to engage with the local community. The visits to Burnley Backyard also complement their educational activities by teaching the children how to care for the environment and by demonstrating a way in which they can contribute to a sustainable future. Nikkita, who is the Kindergarten teacher at the Centre explains how the children’s involvement in this program also aims to teach them to take responsibility and care for the chickens by feeding them, replacing their water and tidying their home. 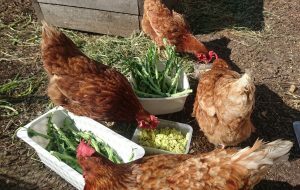 It also helps to develop the children’s awareness and appreciation about where food comes from, by collecting the eggs and cooking healthy meals with the organic fresh produce. Posted November 16, 2018 by rclc & posted in Uncategorized. This month, we would like to focus on BYO Bubs Playgroup which is held every Monday of the school term at The Cubby House, a fun and welcoming home right on your doorstep, in Lord Street. There you will find great outdoor spaces to run and play, toys, activities, and other parents to talk to. Cathy began attending playgroup fourteen years ago with her son when it was originally located at the Burnley Backyard. As her son grew, she remained connected to Richmond Community Learning Centre as a member of the Committee and then later by working as a temporary staff member in the Occasional Care Program. Due to changing demographics in Richmond, the playgroup dwindled to one or two children at the most and the program folded. Cathy remained with RCLC then, taking on the role of Community Development Officer at the beginning of 2016 (defined by Cathy as-‘juggling lots of balls and doing whatever needs doing over the three sites we have now!’). As a Richmond local, she appreciates that very few of us have backyards and room to run free, so the large outdoor space is utilised as much as possible with swings, sandpit, climbing frames, a cubby to work on with tools, cars to ride and bubbles to chase. A snack time is shared, sometimes they cook, dance, make sand cupcakes or push prams. It is always a time though, for children to freely move between activities and join in when they want to, or do the same activity for the whole hour and a half! Sarah McKenzie has been attending the group for two years. She is a busy mum of two, a wife and an artist and also works for a construction company. One of the attractions of living in Richmond for her is that virtually everything the family needs (including her work and art studio) is within walking distance. 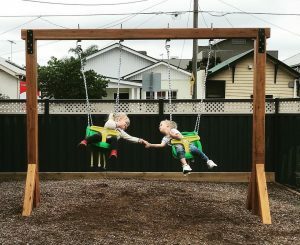 She describes the quality of life here in Richmond as great as she can watch her children grow up alongside other neighbourhood kids as they play, create together and form their identity in this nurturing community. Other local organisations and activities which Sarah values are St Bartholomew’s Church, the local primary schools, kinders and street picnics and barbecues. Sarah has helped out with some of the craft activities at BYO Bubs and sometimes treats the children to face-painting. She has mentioned a key benefit of playgroup being coming across parents and children with different opinions on life. She finds it particularly encouraging to see different viewpoints respected as the parents share a hot cuppa while the children play together in the sandpit. Sarah credits the activities run by Cathy, RCLC and Burnley Backyard with helping to stimulate positive community relationships. To all the staff and participants involved in BYO Bubs, we extend a huge thank-you from the Richmond community. You are providing a much-needed welcoming, supportive and educational environment for future generations and their parents. 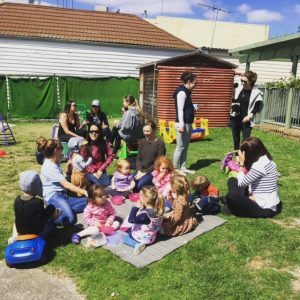 The Cubby House offers a range of activities, programs and educational opportunities aimed to support families and their children. Posted October 10, 2018 by rclc & posted in Uncategorized. Welcome to October at A Taste of Richmond Community Learning Centre. This month we would like to introduce three of our volunteers, all of whom are involved with our Repair, Mend and Make free sessions, held on the last Sunday of the month at Burnley Backyard in Tudor Street, Richmond. The aim of this program is to promote sustainability and minimize waste by having volunteers help people to fix such household items as clothing, appliances and furniture. If you attend one of our sessions, you will more than likely be greeted by Brigitte who will have opened up and made the space ready for the volunteers and attendees. She will then match you and your item to a suitable fixer. She is enjoying the experience of meeting new people at Repair, Mend and Make having re-located to Richmond about eighteen months ago. 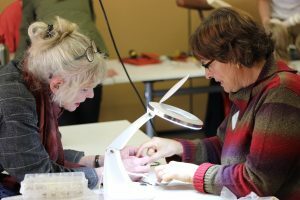 Brigitte describes her participation as providing ‘a package deal’ of a sense of belonging to a group with shared values and the satisfaction of seeing people learning to repair loved items. Tim, who previously worked in the field of technical research at CSIRO, has been with this program since its inception in November 2017. His skills allow him to fix a range of items and if you have an electrical appliance in need of repair, Brigitte will have no hesitation in directing you to Tim. 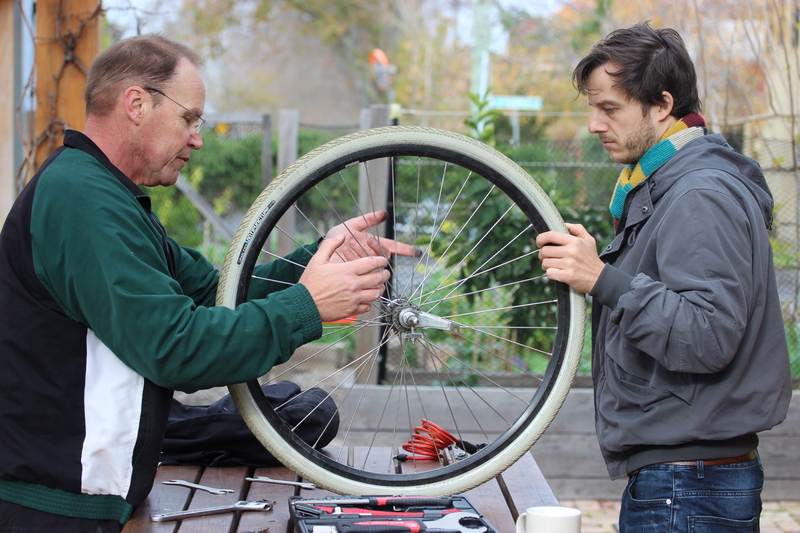 Being a relatively new Richmond resident, Tim is also relishing the companionship the program provides, and being someone who has always liked repairing and building things, he enjoys passing on these skills to others. If you have clothes you would like to mend, then you will be steered in the direction of Helen who like Tim, has been with the program from the start. She is a retired school teacher who taught clothing and textile design at senior levels so you would be in very capable hands! 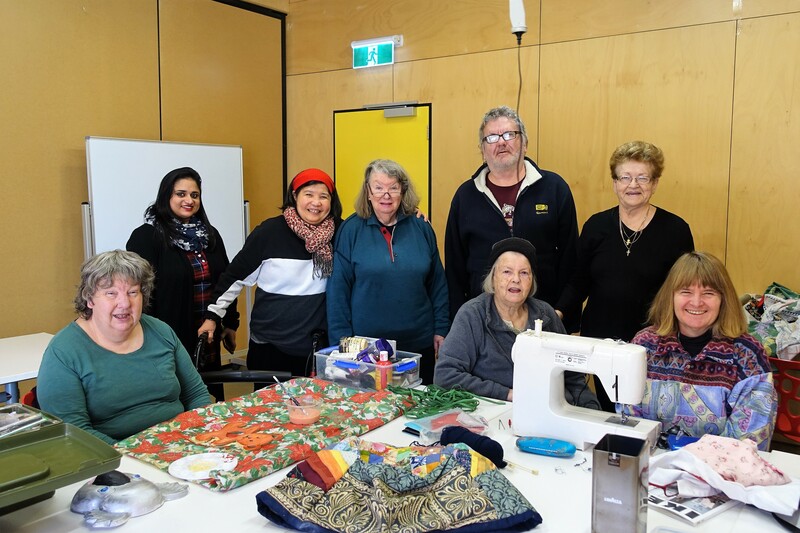 Helen enjoys helping people to learn how to mend their clothes or homewares themselves and can assist with trouble-shooting problematic sewing machines. She has been a Richmond resident for twelve years. 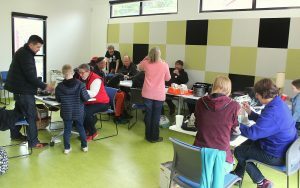 A big RCLC thank you to all the terrific volunteers involved with the Repair Corner as well as to our people in focus, Brigitte, Helen and Tim. If you would like to become a volunteer fixer for Repair, Mend and Make or are interested in attending a session, you can find out more on our website on our Facebook page or by calling the Centre on 9428 9901. 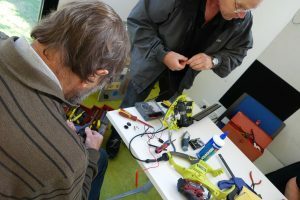 Our next repair session will be held on Sunday, 28th of October from 10am to 12pm, details here. Posted September 18, 2018 by rclc & posted in Uncategorized. Welcome to the Richmond Community Learning Centre monthly blog. Here you will read about some of the people and activities that make up our community. Our ‘Person in Focus’ for September is Richard who runs our popular weekly Technology Confidence Class. 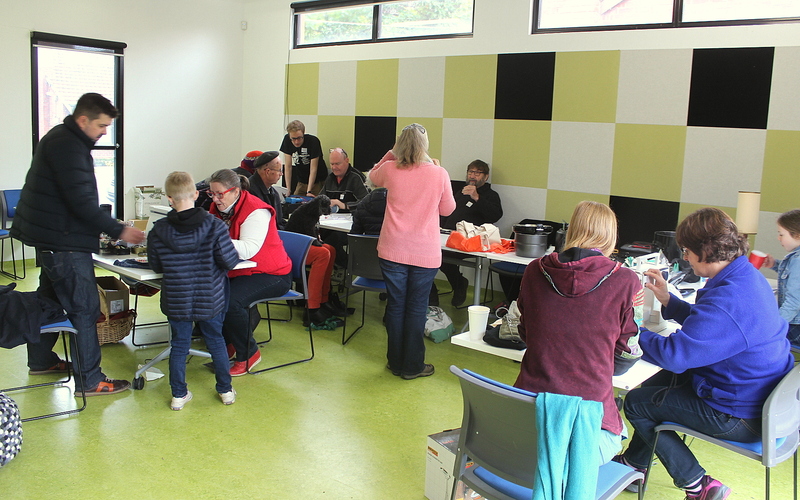 This relaxed and welcoming group which meets every Monday morning at the Studio 1 Community Hub, is aimed at intermediate users of all ages and from all walks of life. It is also suited to job seekers and provides participants with great tips on how to use and understand their computers, smart phones and tablets. Richard has been teaching in this field for almost nineteen years and is passionate about showing his students how to like their digital devices and discover all the wonderful things they can do with them including apps from photo management to Facebook. He finds that being able to fulfill his childhood ambition to teach, along with the fact that many of his students have become his friends (as well as friends with each other) has made his experiences, in his own words, ‘a journey of discovery and self-development: without needing a passport!’. 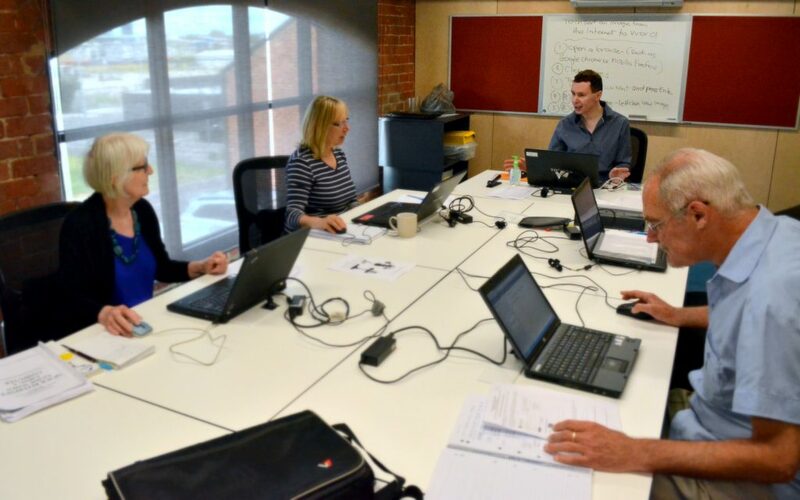 If you would like to know more about our Technology Confidence Class, please click on this link or call us on 03 9428 9901.